Louise Michel (standing) and Elisabeth Dmitrieff (seated), two historical characters, express distinct visions for how the Paris Commune should operate. 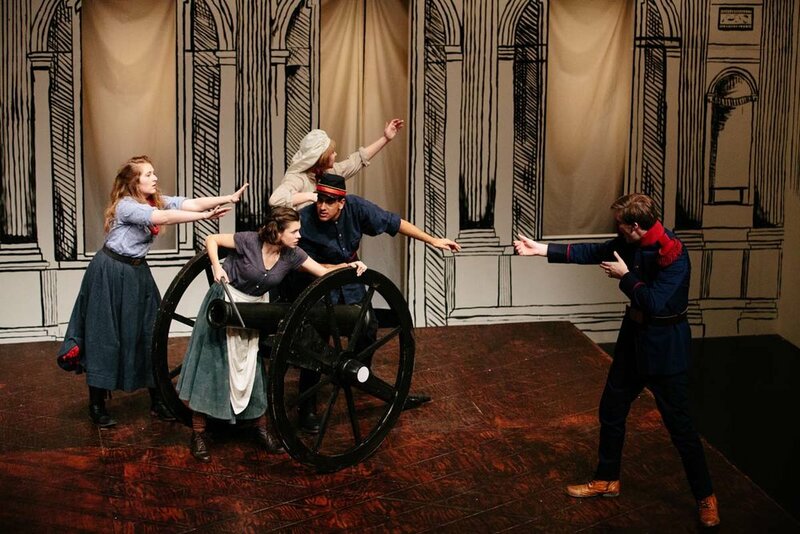 The ensemble tells the story of the standoff over canon at Monmartre. Historically, Pere Duchene was a radical publication. In the show, Pere Duchene is dramatized as a character who speaks the incendiary language of the historical publication. Narrators told the story of the 1871 Paris Commune, often manipulating a large map of Paris and referencing the live-feed video of the map. 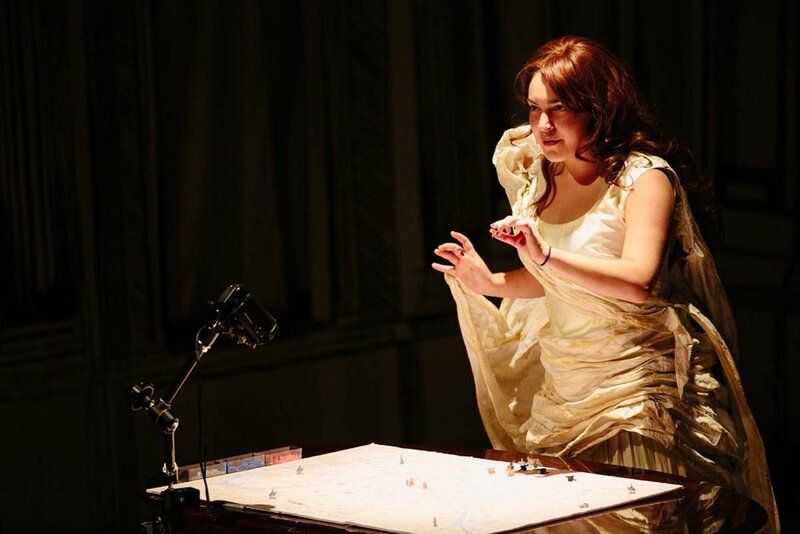 An opera singer, manipulating the map of Paris, symbolizes the French aristocracy. General Rossell (in the foreground), tasked with the defense of the commune, expresses frustration with the council (in the background). Two narrators explain the complexities of labor history while five other ensemble members dance the can-can.